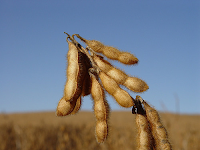 11/02/11 -- Soybeans: March soybeans finished down 17c at USD14.16 a bushel; March soymeal closed USD4.40 lower at USD378.10; March soyoil fell 55 points to 58.49. The market had a hangover from yesterday's news of China cancelling/switching out of existing old crop US purchases into South America as it's harvest comes on stream. Talk is gathering of a record crop in Brazil this year. A firm dollar and weak crude oil, which fell below USD85.50/barrel, also weighed on the market today. Corn: March corn ended up 8c to USD7.06 1/2; May corn ended up 7 3/4c to USD7.17 1/4. News of Egypt's premier finally capitulating spurred corn to close above USD7/bu for only the 19th time in history. Egypt has purchased 1.5 MMT of corn so far this year from the US compared to 812,000 MT this time last year. South Korea bought 55,000 MT of US corn today and Mexico have booked 210,000 MT of the same. Mexico's own domestic corn drop has been badly damaged by recent frosts. Wheat: March CBOT wheat closed up 4 1/4 cents at USD8.67/bushel; March KCBT wheat closed up 5 cents to USD9.73; March MGEX wheat settled up 3 cents to USD10.17 3/4. Egypt bought 170,000 MT of soft wheat split three ways between the US, Canada and Australia. Tunisia is tendering for 50,000 MT of soft milling wheat. After a sharp cold blast strong warming in the US is predicted for next week, with massive snowmelt expected in the Midwest, say Martell Crop Projections. 11/02/11 -- EU wheat futures closed mixed but mostly lower to end the week with Mar London wheat down GBP1.25 to GBP207.75/tonne, and Nov up GBP0.25 to GBP180.25/tonne. Paris wheat closed with Mar down EUR3.00 to EUR273.00/tonne and Nov falling EUR1.50 to EUR243.50/tonne. Egypt's premier finally bit the bullet late in the day, too late to make much difference to the grain markets. Earlier today their state-run agency GASC bought three cargoes of wheat, none of them French origin. Australia, Canada and the US got the nod today. Yesterday's news that weekly export licences granted by Brussels only managed to muster 128,000 MT, and today's missing out on the Egyptian tender maybe made traders think that EU prices are now high enough to ration demand. It is worth noting that to reach the USDA's projected export target of 21.5 MMT the EU needs to export at the rate of 419,000 MT/week for the remainder of the 2010/11 marketing year. That is starting to look quite unlikely given recent volumes and the success of the US, Australia, Canada and Argentina at recent international tenders. In addition the likely removal of the EU12/tonne levy on feed wheat imports into the bloc may also cap further attempts at a rally. In the UK, compound feed sales are understandably sluggish at these levels, and February is of course a short month. Little old wheat at GBP200/tonne ex farm is currently more expensive than 35% protein rapemeal. 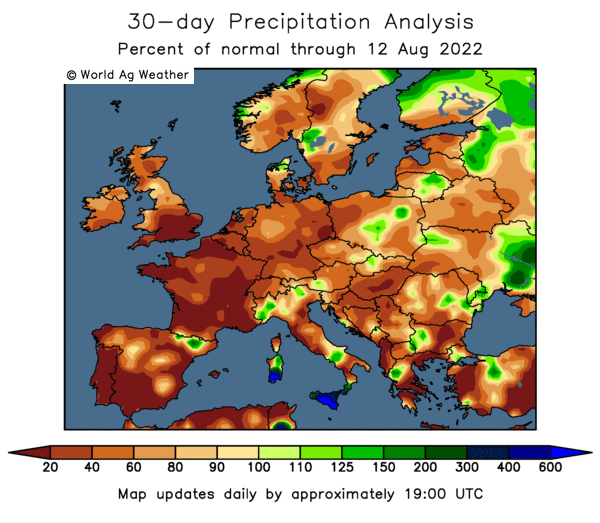 Northern Europe crops are finally getting beneficial rain, although soil moisture is still deficient in Spain, France, northern Italy and the Balkans where hardly any rain has been received in the past 6 weeks. The latest forecast is now finally calling for rain in the droughty areas, say Martell Crop Projections. 11/02/11 -- The overnight grains were mixed with wheat 2-3c higher, corn 1-2c lower and beans fractions either side. The markets maybe haven't moved as much as you might think this week. On the week as a whole so far we see CBOT March wheat up 9 cents, March corn up 20 cents and March soybeans down 1/2 cent. Egypt has bought another three cargoes of wheat today, split between the US, Canada and Australia. South Korea has bought 55,000 MT of Canadian wheat and Tunisia is tendering for 50,000 MT. South Korea have also bought 55,000 MT of US corn and Mexico have booked 210,000 MT of the same. The wheat market may be a tad disappointed that US grain hasn't won a larger share of Egypt's business this week. The political situation there took another twist yesterday with Mubarak's "resignation" speech turning out to be anything but. South American weather looks non-threatening, and a potential record soybean crop could be on the cards from there, with Brazil more than compensating for any shortfall out of Argentina. The Indian wheat harvest will soon be upon us, with a record 82 MMT crop expected. 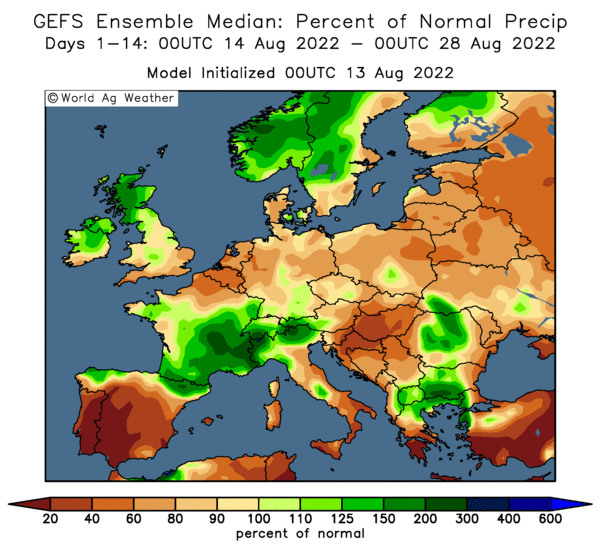 The Chinese weather outlook is improving, with "significant" precipitation in the 7-10 day outlook for wheat and rapeseed crops in central and southern areas, according to QT Weather. Things look a little tired today, and I wouldn't be surprised to see the market drift lower on lack of enthusiasm to push the button ahead of the weekend. Early calls are wheat 1-3c higher, corn and beans mixed 2c higher to 2c lower. 11/02/11 -- Latest guide prices for EU rapemeal. 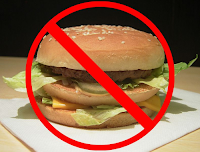 11/02/11 -- Fancy a nice burger, or a sausage bap maybe? Then don't go to Forest Green FC, because their eco-warrior I know what's good for you vegan owner hasn't just banned the players from eating them, he's took them off the menu inside the ground on matchdays too. Hummus wrap anyone? 11/02/11 -- Crop conditions in Ukraine are looking pretty good compared to twelve months ago, with the Ag Ministry there reporting 94% of winter grains in good/satisfactory condition. 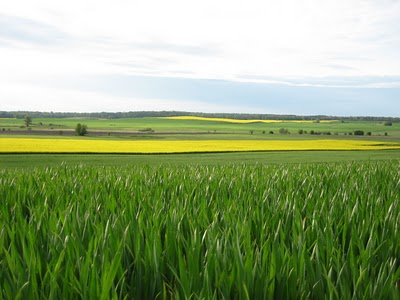 Good/satisfactory conditions are seen for 94% of winter wheat and 91.5% of winter barley. 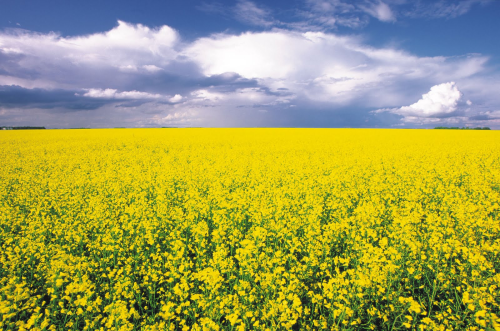 Winter rapeseed meanwhile is rated 91.6% good/satisfactory, a year ago that was only 79%. 10/02/11 -- Soybeans: Beans fell around 17-18 cents on consolidation and profit-taking from yesterday's gains. Overall weekly export sales were in line with expectations, but old crop disappointed at only 20,800 MT. China decreased their original purchases by 261,700 MT for 2010/11 delivery. That's a bit of a blow for the bulls forecasting USD16/17 beans. March soybeans finished down 18 cents at USD14.33 a bushel. 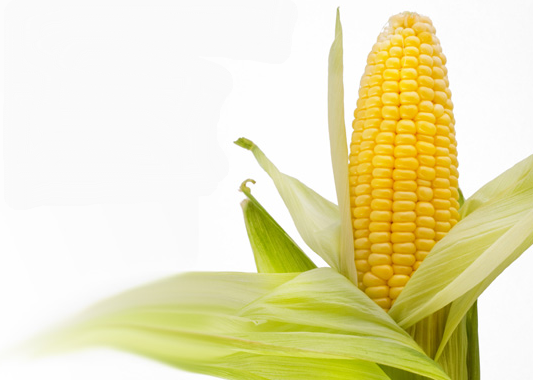 Corn: Corn rose above USD7/bushel, but closed below that level again by the end of play, with front month March ending at USD6.98 1/2/bushel. Export sales were strong at 1,107,300 MT for 2010/11 delivery and 104,500 MT for 2011/12 delivery. Talk that 40% of the US corn crop now going into ethanol manufacture is unhealthy is gathering support. Will the US government do anything about it though? As rising food prices gain more headlines on the popular press then maybe they just might do. Wheat: CBOT wheat futures closed around 23c easier, with KCBT down 20c and MGEX 12-13c lower. Global demand remains strong, but large spec length is always going to be vulnerable to booking profits at these lofty heights. Japan booked mostly US wheat at it's usual weekly tender. Algeria was in the market buying 200,000 MT of what was probably French wheat in the end. There are still plenty of tenders for US wheat to aim at, but stocks aren't that tight and the harvest in the south isn't really that far away. 10/02/11 -- EU wheat closed mostly lower with Mar London wheat down GBP1.25 to GBP209.00/tonne and new crop Nov GBP1.00 lower at GBP178.00/tonne. Mar Paris wheat fell EUR2.50 to EUR276.00/tonne, with Nov down EUR0.75 to EUR245.00/tonne. The market consolidated slightly today following surges to fresh highs yesterday in the wake of the USDA's bullish stocks data for US corn. EU exports appear to be slowing up a little, with Brussels today saying that soft wheat export licences totalled only 128,000 MT during the past week. France have exported 32% more wheat (10.1 MMT) in the first six months of the 2010/11 marketing year (ie July/Dec) than in the previous season. Exports to nations outside the EU were up 57% during the same period. Algeria reportedly bought a further 200,000 MT of optional origin wheat today, rumoured to be French. It would seem that we have taken one step closer to suspending the existing EUR12/tonne import duty on feed wheat, which may allow abundant supplies of Australian low grade grain into the EU. A final vote on the matter, likely to come on Feb 24th, is still needed to get the motion passed however. 10/02/11 -- The overnight grains were mixed to mostly lower with wheat down around 6-8c, and corn/beans a cent higher to a cent lower. Weekly export sales from the USDA were strong for corn and in line with expectations for beans and wheat. Corn sales were 1.2 MMT old crop and 104,500 MT new crop against forecasts of 750-950 TMT. Bean sales were only 20,800 old crop but 950 TMT new crop versus trade ideas of 800 TMT-1 MMT. Wheat sales were 391 TMT old crop and 116 TMT new crop (forecasts of 500-700 TMT). Japan bought 165 TMT of wheat in it's regular Thursday tender with the majority of that US wheat. Afghanistan has become the latest buyer to enter the ring, tendering for 200,000 MT of wheat. It looks like Argentina's crop prospects are improving, so too are those in Brazil where a record soybean crop looks likely to be on the cards. In the US Plains, extreme cold overnight will give way to a rapid warm up by the weekend. QT Weather predict temperatures in the upper 60's in Oklahoma by Sunday night, a stunning contrast to the all-time state record low of -27 set this morning! China got some snow this week, but drought in the north is said to be expanding. Europe and Australia are warming up, the Black Sea is looking pretty good under a blanket of snow but India is hot and dry. The grains aren't getting too much support from outside markets today, crude is lower as ideas fade of any acute disruptions to supplies via the Suez Canal. The dollar is firmer and Wall Street expected to start lower. Early calls for this afternoon's CBOT session: beans and corn mixed, wheat 5-7c easier. 10/02/11 -- There seems to be a growing conviction that UK interest rates might be set to start to move higher in an effort to rein in inflation. The CBI said in yesterday's Guardian that they expect rates to start to rise "in the next few months" whilst the Telegraph reports today that two former members of the MPC said that they would have been inclined to vote in favour of an increase at this week's meeting on monetary policy. 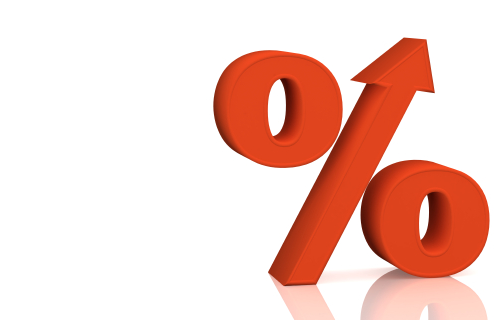 With inflation having risen to 3.7% and showing no signs of slowing many pundits are starting to fancy modest interest rate rises this year and next. As the CBI point out 1.25% by the end of 2011 and 2.75% by the end of 2012 would still leave interest rates here at historically low levels. An announcement on rates is expected from the MPC at 12.00 GMT today. Whilst they probably will remain unchanged at 0.5% the smart money is starting to fancy an increase maybe as soon as next month and certainly by June. Footnote: Rates subsequently left unchanged at 0.5% today. 10/02/11 -- Latest guide prices for EU rapemeal. 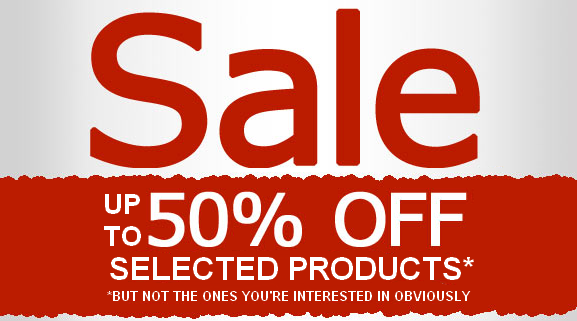 10/02/11 -- Got a few resale bargains kicking around today ladies and genitalmen, which for you I make special price. Spot Liverpool soya hulls, corn gluten feed pellets, rapemeal, Brazilian soya pellets. All cheapy cheap cheap, you come inside and look....All POA, book now to avoid disappointment! 10/02/11 -- Maths, I was always good at maths and in a way that's how I landed up in the grain trade. I used to go to my Dad's club with him on a Saturday afternoon and watch the guys in there bemoaning the fact that they'd had five winners, only another two and they'd have scooped the jackpot on the ITV7 (seven televised horse races for the uninitiated). I used to think to myself, I could do better than that. So despite no interest in horse racing from my Dad I started buying the Sporting Chronicle and studying the form. 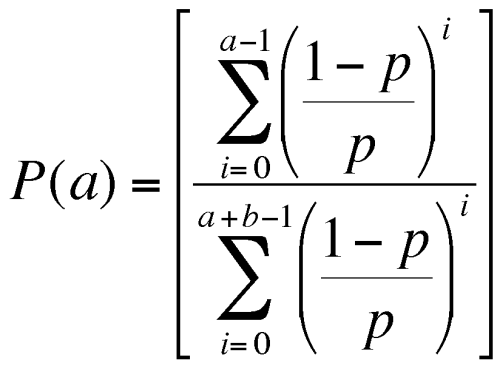 It was the maths of weighing up the likelihood of horse A beating horse B that intrigued me. All the known variables were there: distance, going, weight, course, draw, jockey etc, plus some unknown ones of course like had someone slipped the horse a kebab just before the off and a host of others. I recall telling my Maths teacher Mr Dale to back Grundy to win the Derby in 1975. I also recall hanging out of the maths classroom window with Mr Dale whilst we listened to the race on his car radio that he'd driven up as close up as he could, whilst the rest of the class got on with some work. Needless to say a kebabless Grundy won, or I wouldn't remember the story in so much detail. It was this same interest in probability that stirred an interest when I went to work at a Liverpool grain merchants aged 18. Instead of distance, going, weight etc the variables this time were supply, demand, weather, currency etc. Which brings me round to today's countdown conundrum. Wheat, and in this case specifically UK wheat for Nov12, which closed at GBP154.50 last night. The reason I pick Nov12 rather than Nov11 is that is is further away (no kiddin' Sherlock?). As it is further away the chances are that it is more likely to be governed by the laws of normality than the nearer-by Nov11. Now of course it is entirely possible that Russia might have another devastating drought in 2012, what I am interested in right now is probability. Right now it is neither no more likely that they will have a drought than it is likely that they will have a bumper crop. Right now the chances for 2012 are that they will have an average crop. Ditto everywhere else in the world. Based on current prices I'd say it is fair to assume that the world will plant more wheat for the 2012 harvest, particularly in places like Russia. Considering that planting time isn't really that far away, if prices hold around where they are and planting conditions are conducive (50:50) then more wheat is likely to go into the ground. Thus with average yields (the most likely scenario right now) the 2012 world wheat crop is likely to be higher than that in 2011. Considering that we currently know that US and Chinese crop conditions are worse than average for the 2011 crop then it is a fair assumption I think that 2012 will see a significant increase in global wheat output given just average growing conditions. Of course there are other factors to consider, like demand. Specifically here in the UK we can assume that it is highly likely that Vivergo will be more or less fully operational by harvest 2012, so there will be potentially a domestic demand increase of 1 MMT/year by then. It would also seem a fair proposition that the lessons of this season mean that we won't be such aggressive exporters by then either. Allowing for maybe a modest price-incentivised increase in plantings and average yields we could be looking at a crop of 16 MMT maybe. More than sufficient to meet domestic demand and still have a bit left for export too. 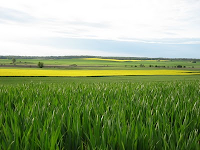 At this juncture it may also be worth considering that despite the rhetoric, the UK bioethanol refineries will import wheat if it is cheaper to do so than buying on the local market. They are not registered charities after all. Consequently the highest price that UK wheat can be realistically is parity with the cost of importing it in from Ukraine or wherever. Going back to the balance of probability, it suggests to me that it is likely that Russia will replenish it's depleted grain reserves in 2011 with an average harvest. That also suggests that it is unlikely that they will still have an export embargo in place come the harvest of 2012. It also suggests that Ukraine will re-emerge as an aggressive exporter again as early as harvest 2011, and also be in there pitching come harvest 2012. To summarise: It is more likely than not that the world will produce more wheat in 2012 than in 2011. By harvest 2012 it is more likely than not that Russia and Ukraine will be active exporters again. The UK will have a new 1 MMT mouth to feed, but is still likely to have an exportable surplus. Q: How likely is it that the price of Nov12 UK wheat will still be GBP154.50/tonne (or better) by then? 09/02/11 -- Corn: Corn led the entire complex higher today after the USDA slashed US ending stocks by far more than the trade had been anticipating driving front month March above USD7/bushel for the first time in more than 30 months. The USDA lopped 70 million bushels off US 2010/11 carryout to 675 million, over 50 million below what the trade had been expecting. That places US corn stocks to use at 5%, the lowest since 1936/37. World corn ending stocks were also cut from 127 MMT last month to 122.5 MMT, in itself a 37-year low. Profit taking led March to close just below USD7/bushel by the close of play, but it still finished 24 1/4c higher on the day. Soybeans: Although the USDA report was neutral for beans, they followed corn higher to close the session around 17-19c firmer. South American production was left unchanged by virtue of an increase in output of 1 MMT from Brazil being matched by a reduction of 1 MMT for Argentina. US 2010/11 ending stocks were also seen unchanged, a tad better than the 5 million bushel reduction that the trade had expected. World ending stocks were lowered slightly from 58.28 MMT to 58.21 MMT. Assorted private estimates peg Brazilian soybean production 1-2 MMT higher than the USDA's 68.5 MMT figure today, local firm Agroconsult report some "unbelievable" yields in early harvested beans in Mato Grosso. Wheat: Wheat was also a follower like beans, with CBOT rising around 12-14c on the day, KCBT was up around 15-16c and MGEX around 16-18c higher. As with soybeans the wheat numbers were largely neutral. US ending stocks were left unchanged, contrary to expectations for a small reduction, and world wheat stocks fell only marginally. Talk of potential damage to Chinese winter wheat added underlying support, so too did ideas that US wheat is now starting to pick up some victories amongst the many international tenders kicking around at the moment. US wheat got some snow cover this week, but more is needed to make up for winter moisture deficits. 09/02/11 -- EU wheat closed sharply higher with Mar London wheat leaping GBP4.25 to GBP210.25/tonne and new crop Nov GBP3.00 higher at GBP181.00/tonne. Mar Paris wheat rose EUR2.50 to EUR278.50/tonne, with Nov up EUR4.25 to EUR245.75/tonne. Throw the record books away again, as today's close has just rewritten them. All London wheat contracts posted lifetime highs, and Mar11 set a new record all time high for a front month. All Paris wheat contracts barring Aug12 also posted lifetime contract highs. The USDA shocked the market again by knocking 70 million bushels off their US corn ending stocks estimate for the current 2010/11 season. That was more than 50 million more than the trade was expecting, sending US corn futures sharply higher in afternoon trade to test the psychologically important USD7/bushel level. They also cut world corn ending stocks to 122.5 MMT, a 37-year low and the 4th tightest in the past 50 years. After all that excitement the USDA's wheat and soybean numbers, which were actually neutral or maybe even slightly bearish, got swept to one side. Chinese drought concerns are a worry for wheat production there, whilst the US crop isn't out of the woods yet either. Heavy snow has fallen this week in many parts of Nebraska, Colorado, Kansas and Oklahoma. That may help fill in some of the gaps where wheat was lying unprotected from sub-zero temperatures. As far as drought concerns in these states go, the snow was reported as largely being "dry and powdery" by QT Weather with "not a whole lot of water in it" so it may not do too much to replenish depleted soil moisture profiles once it melts. European news was limited. FranceAgriMer upped their forecast for French wheat exports outside the EU by 300,000 MT from last month to a record 12.1 MMT. That would represent an increase of 23.5% on last season, as North Africa and the Middle East clamour for quality wheat in the global marketplace. 09/02/11 -- Latest guide prices for EU rapemeal. 09/02/11 -- Corn got a large bullish boost from the USDA today when they dropped 2010/11 US ending stocks from 745 million bushels last month to 675 million this time round, more than 50 million below what the trade was expecting. That helped trim world corn ending stocks from 127 MMT last month to 122.5 MMT, a 37-year low and the 4th tightest in the past 50 years. The Argentine corn crop was dropped 1.5 MMT to 22 MMT. US wheat ending stocks were left unchanged at 818 million bushels, against expectations for a reduction of around 8-10 million. World ending stocks fell slightly to 177.8 MMT, there were no major alterations to production around the globe. 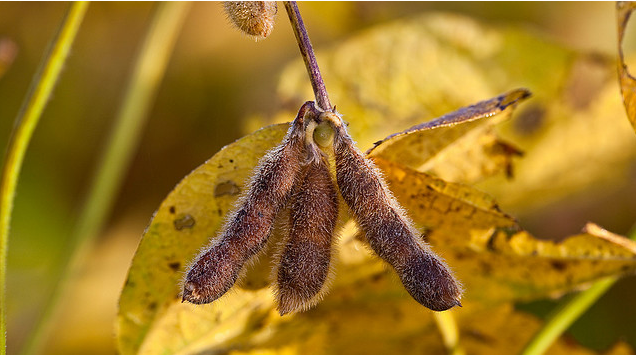 US soybean ending stocks were also left unchanged at 140 million bushels, against ideas of a small reduction. The Argentine crop was cut 1 MMT to 49.5 MMT, but the Brazilian crop was raised by a similar amount to 68.5 MMT. So there it is, majorly bullish for corn as US ethanol production continues to increase. Neutral to even slightly negative for wheat and soybeans, but corn is expected to start sharply higher and drag everything else with it. Early calls for this afternoon's CBOT session: corn up 20-30c, wheat and soybeans up 10-12c. 09/02/11 -- What's the real story behind the Chinese drought? One news agency over there yesterday said it was the worst one in 60 years. Given that we had the worst one in 100 years two years ago, and that this one is worse than that (so they say), then this one is surely the worst in more than 100 years? Mind you, the last time we had the worst drought in 100 years it didn't seem to make much difference to Chinese corn (or wheat) imports. In fact it made no difference at all. This year could be different though, as the government have auctioned off vast quantities of corn (and smaller but significant volumes of wheat) in the past twelve months depleting state-owned reserves. Those buffer stocks are no longer there, potentially paving the way for large scale imports later this year if the harvest fails to deliver. At least that's the common theory. Despite all this China will end the 2010/11 marketing year with 60 MMT of both wheat and corn reserves according to the USDA last month. In the case of wheat that's 55% of domestic usage, and in the case of corn it's 37%. Whilst there is every possibility that the USDA numbers are overstated, that's a still a very sizable comfort zone. The US Grains Council almost certainly "talking their own book" said recently that China may need to import 3-9 MMT of corn this year. Even if we take the upper figure that's only little more than 1% of world production, which hardly seems like a game changing shift in the global supply/demand balance sheet to me. And of course the 2011 crop isn't even in the ground yet. Meanwhile, various weather services seem to disagree over exactly how bad things are drought-wise this year. 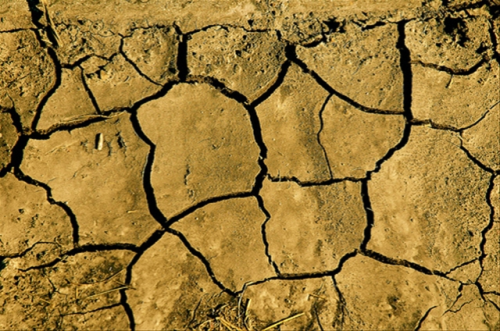 "The situation is not as dire as 2 years ago," according to Martell Crop projections. Meanwhile QT Weather say that subsoil moisture reserves still exist from last year's summer flooding. As far as I am aware the Chinese haven't sent the army in or reached for the silver iodide yet either, which also suggests that things aren't as bad as 2008/09. 09/02/11 -- Twitter suggesting that one person I might like to follow is Richard Branson. I'd rather follow Pol Pot, the useless long-haired scruffy layabout and non-provider pf pre-paid for service. 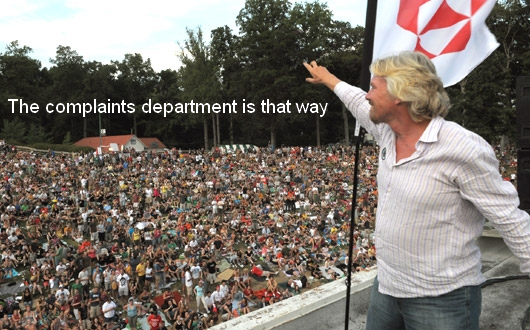 That's Branson I mean, not Mr Pot, I'm sure his broadband service is impeccable. Potband I think it's called, superfast Cambodian broadband, not intermittent where is it when you need it oh sorry it's gone for a cup of tea and a lie down but it might be back on next week sometime slugband. The muppet, I'm kicking myself now for wasting another nanosecond of my life on the Bee Gee-esque one. Peace, I'd like to give you a piece of my mind Branson, and you look like even more of an aging gay hippy in that shirt than you normally do. Soybeans closed around 10-11c firmer, with meal up USD3.30/4.60 and soyoil up 36-38 points. Early ideas that China's latest interest rate hike would adversely affect demand for beans gave way to thoughts of a further tightening in soybean ending stocks by the USDA tomorrow. The trade is maybe also conscious that two previous rate increases have done nothing toi curb demand for soybeans. The USDA may increase it's estimate for Brazilian bean production tomorrow, but that could be offset by a corresponding decrease in Argentina. Corn finished mixed, a cent or so easier to 2-3c firmer. Some light liquidation may have taken place ahead of tomorrow's USDA report. Funds were estimated to have sold around 5,000 contracts on the day. Analysts are estimating tomorrows corn ending stocks down around 10 million bushels on last month. Spillover support from wheat helped minimise losses. With futures having posted successive 30-month highs in recent sessions then maybe it was time to take some money off the table ahead of tomorrow's report. CBOT wheat ended 15-19c higher, with Kansas and MGEX wheat up 18-19c. CBOT wheat set fresh 2 1/2 year highs. Jordan bought 100,000 MT of US wheat to add to Egypt's purchase earlier in the week. Plenty more tenders are kicking around, with US wheat likely to feature prominently. 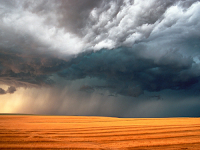 Chinese wheat may have a problem coming up: "key wheat area are in the throes of drought; spotty showers in the past 7 days have brought no real relief," say Martell Crop Projections. 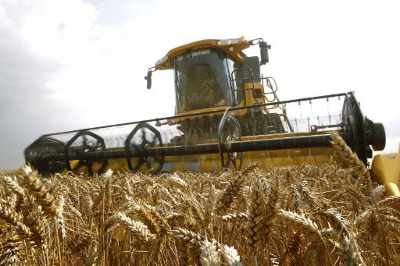 08/02/11 -- EU wheat futures closed mixed Tuesday with Mar London wheat down GBP0.50 to GBP206.00/tonne, and Nov up GBP0.50 to GBP178.00/tonne. Paris wheat closed with Mar down EUR1.75 to EUR27.00/tonne and Nov falling EUR0.25 to EUR241.50/tonne. Although old crop London wheat fell, new crop Nov11 and "only a twinkle in it's Daddy's eye" Nov12 both posted their highest closes ever in the lifetime of their respective contracts. It seems like the European wheat market isn't quite sure what to make of itself right at the moment. We know that stocks are tight, and getting tighter by the minute. We know that we don't really need to compete for every last export order out there, yet we're disappointed when we miss one. We've missed two or three already this week as Jordan today became the latest in a throng of Middle Eastern nations salivating to sign on the dotted line, booking 100,000 MT of US wheat. We missed out on Egypt's business over the weekend too, and the signs are not good for a strong showing amongst a raft of other tenders kicking around this week. Smaller sales are obviously ongoing and we shall find out how things have progressed when Brussels announce the volume of this week's soft wheat export licences on Thursday night. Drought in China was the latest catalyst to put a light under the US market, which rose to a 2 1/2 year high this afternoon. Although not a new story, it an ongoing one that seems to be showing few signs of breaking. 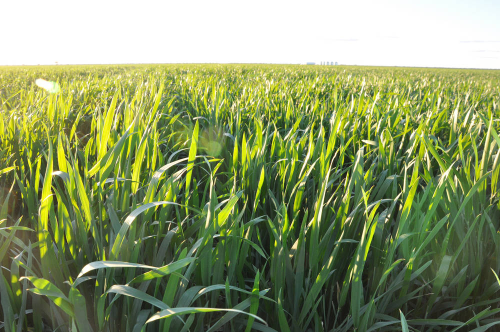 The major wheat growing province of Shandong has apparently seen only 12 millimeters of rain since last September, fifteen percent of normal levels. 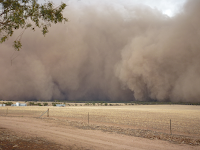 This however is a recurring annual theme in the grain markets, they always seem to be suffering the worst drought in 50, 60 or 100 years but rarely emerge as a significant importer of wheat or corn. Maybe things are the year? It's hard to say. Various weather forecasts today refer to a "critical situation" for Chinese wheat and "important moisture on the way" by the end of next week. 08/02/11 -- "The most substantial snowstorm of the season is hitting the Central and Southern Plains today, with 6-16 inches of snow and near blizzard conditions from Colorado to Arkansas. It was only a week agio that the Midwest saw similar conditions and now it's the High Plains' and HRW crop's turn," say QT Weather. Martell Crop Projections say: "Moderate to heavy snow is falling in northern Kansas and Colorado at this hour. It is very welcome both for the moisture it brings and to protect wheat from subzero F cold. Temperatures at this hour are hovering near zero F and will drop to minus 8 F tonight in Goodland, northwest Kansas. Last week, protective snow was not present when a bitter cold wave occurred, dropping temperatures to -16 F on the northern High Plains. Temperatures stayed below 0 F for 50 consecutive hours, increasing worries about winter kill in the region." "Moderate to heavy snow will follow the polar front south into Texas, insuring good snow protection from the coming cold. 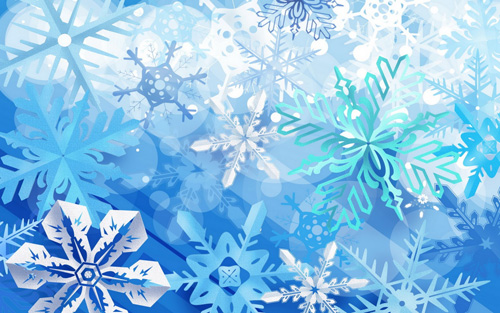 Sub-zero F temperatures are predicted tonight and again Wednesday. Winter kill worries are less due to a thick layer of snow, 4-7 inches. Resolving drought is a much bigger challenge. Snowmelt from this storm would be .50 inch, at the top end, compared to hard red winter wheat moisture deficits of 1.5 to 3.2 inches in the past 12 weeks," they add. 08/02/11 -- The overnight grains were lower across the board on news that China was to raise interest rates again for the third time since October. 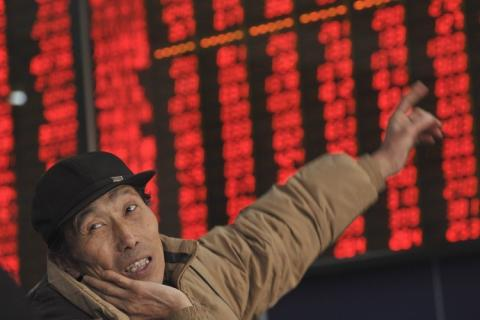 The latest rise, by a quarter percentage point like the other two, comes a day before Chinese markets are expected to return to normal following the Lunar New Year celebrations. Crude oil and other commodities also fell on the back of the news. It has to be noted though that the previous two rate rises seem to have done little to hurt demand from China, and it would come as no surprise at all to see everything back up again by the end of the week. Before that we have the USDA out with a plethora of data of their own tomorrow, so some book squaring liquidation tonight is highly likely, especially given the size of the fund long positions. Trade estimates for tomorrow's US 2010/11 ending stocks estimates see corn forecast at 736 million bushels (from 745m last month and 1.708 billion at the end of 2009/10), soybeans at 135 million (140m; 151m) and wheat at 810 million (818m: 976m). There may be increases for Brazilian soya production, and maybe a downwards revision for Argentina some are thinking. The USDA attaché in Argentina last week dropped their Argy soybean production estimate to 49 MMT, from the USDA's current 50.5 MMT. They also pegged corn production there at 22 MMT, also 1.5 MMT lower than the USDA themselves said last month. Tensions in Egypt seem to have eased somewhat. They bought 170,000 MT of wheat over the weekend, Turkey are in for 300,000 MT after Iraq bought a similar quantity yesterday and then immediately re-tendered for a further 100,000 MT. Algeria and Bangladesh are also in the market, with suggestions that Saudi Arabia & Iran might be next in line to get on the wheat buying merry-go-round. No sign of price rationing demand too much there just yet then. Northern China may get some light rain this week, but 2-3mm isn't going to be a drought buster. Another Arctic blast is on the cards for most of the US this week, with only the PNW coast getting away with anything like normal temperatures. Winterkill could again be a problem in areas without a protective snow covering. Early calls for this afternoon's CBOT session: beans down 8-10c, corn down 5-6c, wheat down 5-7c. 08/02/11 -- Latest guide prices for EU rapemeal. 08/02/11 -- This time twelve months ago Russia was forecasting a 2010 grain crop of 97 MMT and exports at 22 MMT. March London wheat was GBP96/tonne, March Paris wheat was EUR126/tonne and barley was pouring into intervention all over Europe. In America soybeans were under USD10/bushel, corn was sub USD4/bushel and wheat below USD5/bushel. "At least that's according to Professor Harald von Witzke of Humbolt University. He says that assuming that oil will be back up above USD100/barrel by 2017 (which seems perfectly reasonable), then we could see wheat prices 70% higher by then, with corn up over 100%. "It is an interesting theory, and not one that I would argue ferociously against. That said, when asked why prices currently don't reflect this, the professor said that the sharply higher levels we saw a few years ago had stimulated increases in production. "Won't that happen again then if wheat goes back to GBP200/tonne? "Maybe we are in for a decade of extreme volatility, where we get these mad price spikes more frequently, followed by deep troughs of despondency as everybody jumps on and off the various bandwagons all at the same time? That wouldn't surprise me in the slightest. "Pig farming I think they call it." 08/02/11 -- There's not a lot doing on the overnight trade with wheat down 2-3c, beans up 2-4c and corn either side of unchanged. There isn't much change on the currency front either, with the pound at 1.61 against the dollar and just over 1.18 against the euro. It looks like we maybe will tread a bit of water ahead of tomorrow's USDA numbers. What will that bring? Who can tell, maybe tighter US ending stocks but larger South American production? Private Brazilian firms now estimate the soybean crop there at 69-71 MMT, versus the USDA's Jan estimate of 67.5 MMT. In Argentina although private firms have been upping their soybean production estimates of late, the USDA were probably overstated last time at 50.5 MMT. China are due back to work tomorrow after Chinese New Year celebrations. Iraq bought 300,000 MT of wheat yesterday, of which 250,000 MT was Australian and 50,000 MT US origin. They then promptly issued another tender for a further 100,000 MT. Turkey are also expected to buy 300,000 MT of wheat this week, with Algeria back in again too. Japan are shopping for almost 165,000 MT of US/Canadian wheat in their regular weekly tender on Thursday. 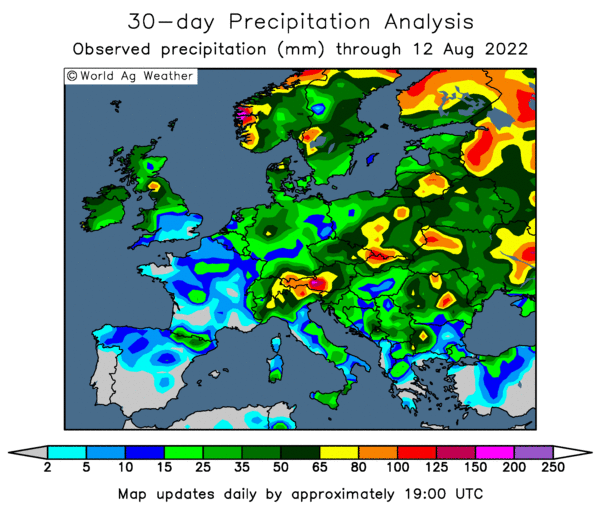 On the weather front "Black Sea wheat received moderate-heavy rain/snow Sunday, more is expected; northern wheat area Volga and Black Earth are already wet, and expecting more heavy precipitation in the week ahead; soil moisture keeps improving," say Martell Crop Projections. That sounds like a significant improvement then. Warmer weather in Europe is coaxing winter wheat out of dormancy. The seven day forecast calls for temperatures 2-6 degrees F above normal for most of England, northern France and Germany, they add. March soybeans closed down 9 cents at USD14.24 1/2; March soymeal fell USD0.80 or to USD382.40; March soyoil ended 57 points lower at 58.41. The Brazilian Oilseed Processors Association ABIOVE increased their Brazilian production forecast to 68.8 MMT, 1.3 MMT higher than the USDA. The latter will issue revised world production estimates on Wednesday. They will also report on US ending stocks, which may be trimmed further from last months estimate of 140 million bushels. March corn fell 3 3/4c to USD6.74 3/4; May corn declined 3 1/2c to USD6.85 3/4. Fresh 30-month highs were set in the overnight session, but corn failed to hang onto those gains in the face of light profit-taking ahead of Wednesday's key USDA numbers. That report is seen dropping US corn ending stocks by around 10 million bushels from last month. Weekly export inspections were strong, but funds were estimated to have sold 5,000 contracts on the day. CBOT March wheat ended up 5c at USD8.58 3/4; KCBT March rose 10 3/4c to USD9.53 1/2; MGEX March gained 2 3/4c to USD9.91 1/4. Egypt bought 170,000 MT of soft wheat for March shipment over the weekend, with the business split between the US, Argentina and Australia. A variety of other tenders are in the marketplace this week too, keeping the wheat market bubbling away nicely. 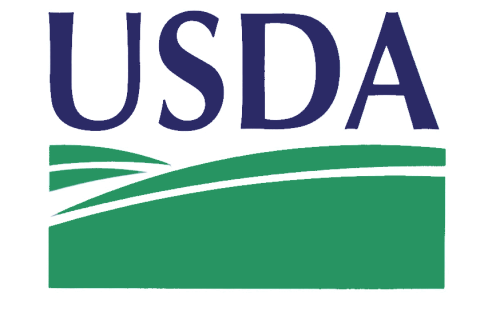 The USDA are expected to trim their US wheat ending stocks estimate by around 8-10 million bushels on Wednesday. 07/02/11 -- EU wheat closed higher again with Mar London wheat up GBP1.50 to GBP206.50/tonne and new crop Nov GBP3.00 higher at GBP177.50/tonne. Mar Paris wheat rose EUR3.00 to EUR277.75/tonne, with Nov up EUR3.50 to EUR241.75/tonne. All contracts posted lifetime contract highs today, barring July 12 London wheat and August 12 Paris wheat. Egypt passed on French wheat in it's weekend tender, booking a cargo each of Australian, Argentine and US grain. There are however plenty of other buyers kicking about with Algeria back in the market again this week. So too are Turkey, shopping for 300,000 MT, along with Bangladesh and Iraq. Reports suggest that Iran might also be entering the market soon. So as you can see there isn't exactly a shortage of international buying interest around at the moment. There are still concerns about what America's wheat crop is going to look like when it emerges from winter dormancy. 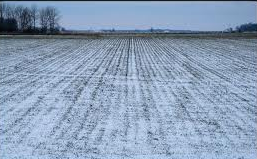 Heavy snow is expected in US hard red winter wheat areas this week where moisture is badly needed, say Martell Crop Projections. Meanwhile strong warming is on the cards for the North China Plain this week where wheat is coming out of dormancy, with highs topping 60 F. Moisture is badly needed soon here after cold and very dry winter, they add. 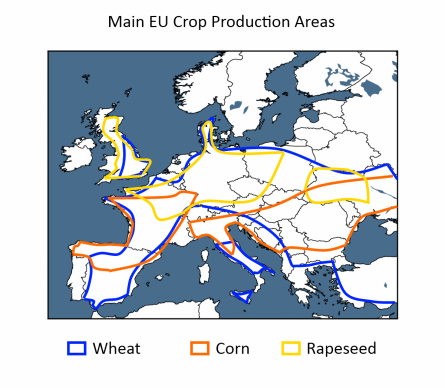 In Europe too winter crops are starting to think about breaking dormancy as the weather warms up. Central and northern parts of the UK got a welcome widespread soaking over the weekend after a fairly dry winter thus far. 07/02/11 -- The overnight grains closed higher with wheat up around 8c, beans 9-10c firmer and corn around 3c higher. Egypt bought three cargoes of wheat over the weekend, sharing their business around between Australia, Argentina and the US. 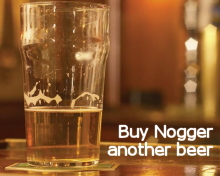 That would indeed suggest that for now they are buying only "normal" amounts. News that Algeria is back again tendering for more wheat today is possibly more bullish than news out of Egypt. The Algerians have already bought at least 1.75 MMT of wheat, and possibly more like 2 MMT including durum wheat, in the past four or five weeks. Iraq, Bangladesh and Turkey have got the chequebook out too, so there's no shortage of wheat buyers even at these levels. A second cold front is due to hit the US this week, which may damage winter wheat although it also brings with it the chance of a protective snow covering. If we do finish higher tonight, and that's what the early call is, then we may see a turnaround Tuesday tomorrow on profit-taking ahead of the USDA's Feb WASDE report out on Wednesday. That said, the trade is expecting the USDA to further tighten US ending stocks of corn and soybeans, so it wouldn't be too difficult to envisage the rally to re-extending itself later in the week after those ar out. 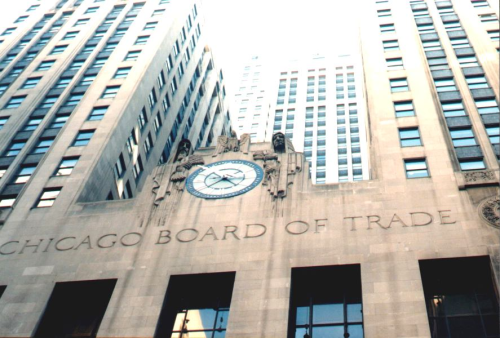 Early calls for this afternoon's CBOT session: corn up 2-4c; beans up 8-10c; wheat up 8-10c. Eight Ninety Five For A Battered Sausage? 07/02/11 -- Just back from a long weekend away on the lash with the divine MrsN#3. Old romantic that I am I decided to treat her to a cottage by the sea near Whitby, where we met some people from Leeds who were incredulous to report on the price of battered sausages in what is probably Whitby's most famous "fish and chip emporium". 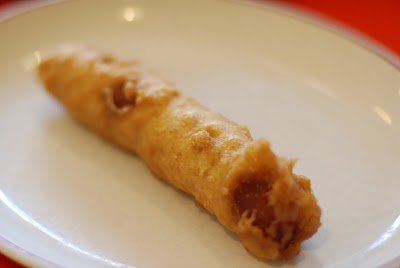 You don't see a lot of battered sausage on MasterChef do you? "Robert, who's an assistant chef at La Maison d'Paris in Gstaad, has decided to present chef Michel with battered sausage on a bed of mushy pois with a vinegar drizzle and a couple of slices of bread to show off his presentation skills." Which reminds me of Stacey, who I used to work with and was an ardent vegetarian, who frequently and bizarrely used to break her meat free vows on a Saturday night for the sake of a battered sausage and then hate herself again in the morning. In the queue at the kebab house at 2am with boyfriend Russ, she'd grab sight of said delicacy and that was it. I could never figure that out, she could flatly refuse a bacon butty or a hot roast beef and onion sarnie quite easily, but show the girl a battered sausage and that was it, she was like putty in your hands. 07/02/11 -- The Ozzies must be wondering what's coming next, Nazi Killer Zombies? They've had drought in the west, floods in the east, Cyclone Yasi and this little rascal which "carried a lot of topsoil from north to south for about 300 km" in Western Australia, according to my chum Down Under, Bill Crabtree, who sent me this picture. You won't spot the ashes in this picture though Bill, they live over here these days.